Greetings in the name of Him who came to save His people from their sins! As I type I can feel the leftover turkey and yams churning in my stomach. We have much to be thankful for, and the upcoming Advent season gives us even more reason to be thankful, for it is this time of year that we pause to remember God’s gift of His Son Jesus Christ, God from all eternity, conceived and born in due time, predestined before the foundation of the world to come as the Savior of Sinners. Although the Bible does not fix for us the date of the birth of Christ, Christmas is an ancient tradition in the Christian Church. The date of December 25th began to be observed in Rome in the 4th century. (The 4th century church father John Chrysostom notes that there was a longstanding tradition already in the Church that Jesus was born during the winter time dating back long before this time.) Around the same period, in the Eastern churches of Greece and Asia Minor (modern-day Turkey), Epiphany was starting to become a popular festival on January 6th celebrating Jesus’ birth, the visit of the wise men, and baptism by John in the Jordan River. While the celebration of Epiphany spread westward, the celebration of Christmas spread eastward and southward to the churches. In this period of time there was a great controversy in the Christian church due to a teaching of a preacher in Alexandria, Egypt named Arius that from all eternity “the Son was not.” He taught that only the Father was the eternal God and that Jesus the son was a lesser god who had been created by the Father at a point in time prior to creation. (This doctrine is similar to the teaching of some modern groups, for example the “Jehovah’s Witnesses.”) Arius’ teaching caught on like wildfire because many people found it easier to understand and accept than the biblical teaching on the Trinity: One God in Three Persons (cf. Matthew 28:19.) But God in His providence raised up great preachers to oppose this teaching, men like the Greek fathers Gregory of Nyssa, Gregory Nazianzus, Basil the Great, and John “golden mouth” Chrysostom. They knew that without a Savior who is both fully God and fully man, with two distinct natures in one person, there could be no reconciliation of a holy God with sinful man, and there would be no salvation. These church fathers thought that a new festival on December 25th would provide a valuable opportunity to proclaim the truth about the person of Christ, that God the Son, being fully God from all eternity with the Father and the Spirit, took to Himself a full yet previously un-impersonated human nature, and became man, in the womb of the virgin Mary. They used Christmas as a defense against Arius and his false teaching about Christ. It was Gregory Nazianzus who said in reference to John 1:1, “What better way to celebrate Him who is the Word, than by preaching the word?” Christmas caught on in churches all over the world as a time to hear sermons on the incarnation of Christ, and in the end, it was probably one of the great influences which wound up leading to the decision of the Council of Nicaea in favor of the biblical teaching on who Christ is. 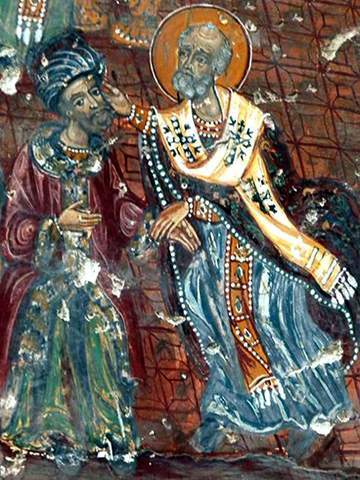 (At the council, according to tradition, there was one minister from the city of Myra in Asia Minor named Nicholas, who is said to have struck Arius in the face during a council session when he said, “The Son was not” in an attempt to knock some sense into him. Nicholas was defending the biblical doctrine of Christ being fully God, and was also known for being generous to the poor. He is the origin of the “Santa Claus” stories.) The results of this council were encodified in the Nicene Creed, an important and historical statement of the doctrine of Christ and the Trinity. As we reflect on Christ during this season, let us be thankful to God for leading His Church to the truth about who He is, guiding her through history, and remember that salvation is only in Him who being God from all eternity, became man in the womb of the virgin Mary, was born in a stable, and continues to be God and man, in one person, with two distinct natures forever, the Mediator between God and sinful man. Whosoever will be saved, before all things it is necessary that he hold the catholic faith;  Which faith unless every one do keep whole and undefiled, without doubt he shall perish everlastingly. And the catholic faith is this: That we worship one God in Trinity, and Trinity in Unity;  Neither confounding the persons, nor dividing the substance. For there is one person of the Father, another of the Son, and another of the Holy Spirit. But the Godhead of the Father, of the Son, and of the Holy Spirit is all one, the glory equal, the majesty co-eternal. Such as the Father is, such is the Son, and such is the Holy Spirit. The Father uncreated, the Son uncreated, and the Holy Spirit uncreated. The Father incomprehensible, the Son incomprehensible, and the Holy Spirit incomprehensible. The Father eternal, the Son eternal, and the Holy Spirit eternal. And yet they are not three eternals, but one eternal. As also there are not three uncreated nor three incomprehensibles, but one uncreated and one incomprehensible. So likewise the Father is almighty, the Son almighty, and the Holy Spirit almighty;  And yet they are not three almighties, but one almighty. So the Father is God, the Son is God, and the Holy Spirit is God;  And yet they are not three Gods, but one God. So likewise the Father is Lord, the Son Lord, and the Holy Spirit Lord;  And yet they are not three Lords, but one Lord. For like as we are compelled by the Christian truth to acknowledge every Person by himself to be God and Lord;  So are we forbidden by the catholic religion to say: There are three Gods or three Lords. The Father is made of none, neither created nor begotten. The Son is of the Father alone; not made nor created, but begotten. The Holy Spirit is of the Father and of the Son; neither made, nor created, nor begotten, but proceeding. So there is one Father, not three Fathers; one Son, not three Sons; one Holy Spirit, not three Holy Spirits. And in this Trinity none is before, or after another; none is greater, or less than another. But the whole three persons are co-eternal, and co-equal. 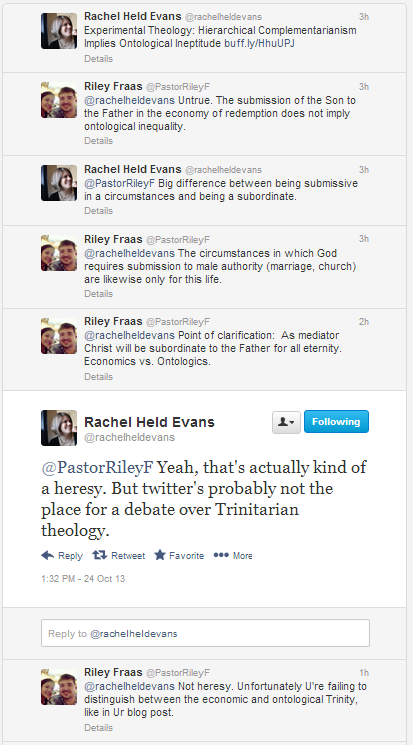 So that in all things, as said before, the Unity in Trinity and the Trinity in Unity is to be worshipped. He therefore that will be saved must thus think of the Trinity. Furthermore it is necessary to everlasting salvation that he also believe rightly the incarnation of our Lord Jesus Christ. For the right faith is that we believe and confess that our Lord Jesus Christ, the Son of God, is God and man. God of the substance of the Father, begotten before the worlds; and man of the substance of His mother, born in the world. Perfect God and perfect man, of a reasonable soul and human flesh subsisting. Equal to the Father as touching His Godhead, and inferior to the Father as touching His manhood. Who, although He is God and man, yet He is not two, but one Christ. One, not by conversion of the Godhead into flesh, but by taking of the manhood into God. One altogether, not by confusion of substance, but by unity of person. For as the reasonable soul and flesh is one man, so God and man is one Christ;  Who suffered for our salvation, descended into hell, rose again the third day from the dead;  He ascended into heaven, He sits on the right hand of the Father, God Almighty;  From there He shall come to judge the living and the dead. At whose coming all men shall rise again with their bodies;  And shall give account of their own works. And they that have done good shall go into life everlasting, and they that have done evil into everlasting fire. This is the catholic faith, which unless a man believe faithfully, he cannot be saved. The Athanasian Creed, early 6th century. Human philosophy is at a loss when it comes to explaining the world we live in. As human beings, we experience both unity and diversity in our world. Unity is observed in what we all have in common as humans: in common dreams, hopes, fears, struggles. Our brains tend to follow similar patterns of logic. We can read a news report about a person from an entirely different culture, who speaks a different language, and sense a commonality with that person. We can even empathize with her if her parents have been ruthlessly murdered in cold blood, or be happy for her if she wins a prize. This commonality bespeaks an underlying unity to mankind. There is an underlying unity between human beings, and this also allows for communication from one person to another. The English language, for example, works as a way for me to convey the ideas I am now expressing because there is enough unity among human beings that we can assign common definitions to words and convey meaning to one another. I can type in a way that the reader can understand, and this points to an essential unity in human existence. Although English is only one of many human languages, any human can learn English with enough practice. This unity between human beings is also seen in many ways in the world around us, like when a bird helps pick insects from a rhino, an act of mutual cooperation which benefits both, and when ants communicate with each other to alert the colony of an approaching green lizard. Diversity is seen in the multiplicity of all that exists in our world. The many stars in their own different solar systems, the diversity of lifeforms on earth from infectious bacteria to wrinkled Grey Elephants, and the diversity of human races, languages, and individual opinions are all manifestations of diversity in our world. What are we to make of the fact that the world is unified and that it is diverse at the same time? Human philosophy, which tries to make sense of the universe around us, has attempted to explain, account for, or understand how our world can be both unified and diverse, as shown in the examples described. After all, if the world were only unity, how could we have so many different dog species, or flavors of barbecue sauce? If it were only diversity, we could not even have a discussion because there would be no common understandings of words or their meanings. How are we to make sense of all this? As human beings we see diversity all around us in the world we inhabit, but we have an intuitive sense of an underlying unity which is behind it all. 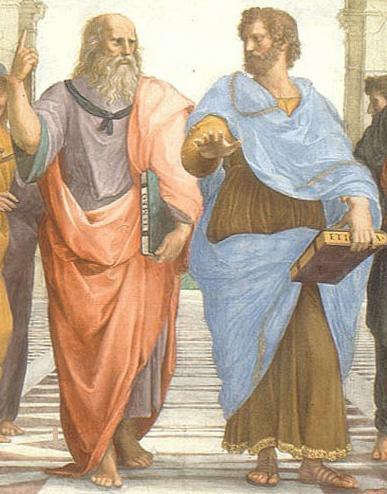 The great Greek philosopher of the ancient world, Plato, tried different methods of thinking in attempts to explain the unity and diversity in the world. But each time he failed, because the diversity that we experience in the world around us would not give him any clues as to where the perceived unity has its foundation. Modern thinking has not been able to get any farther in solving the problem of the unity and diversity in the universe than Plato did. If only the material world exists, and the supernatural is a fiction, as some today would say, then where does the underlying unity, that we perceive intuitively, come from? Universal laws of human behavior, the laws of physics, laws of grammar, etc. point to a unity underlying them all. The modern thinker just can’t explain this other than just to shrug and say it must exist somehowi. The riddle of the unity and diversity in our world is only solvable by the Christian doctrine of the Holy Trinity. Since the Creator of the Universe is a Trinity, that is, one God in three persons: Father, Son, and Holy Spirit, from all eternity, He is the root of the unity and diversity that exists in our world. Since our world is a reflection of Him, and He is one God in three Persons, therefore it is easy to see how our world can exhibit such unity and diversity at the same time. Conceptions of God like that of Islam, which teaches that God is only one person, not three, cannot account for the wide diversity in the world that we experience. How could such a diverse world be created by a monolithic god? Materialism, which takes all its cues from the physical world around us, cannot explain the unity which under-girds us. Only the Bible with its teaching of a God who is One in Three can make sense of the world that we live in. And although we cannot fully understand the Trinity, yet we can see that the unity of essence and diversity of persons in God is the root of the unity and diversity that we experience here below. i I am indebted in my thinking on this topic to the published works of Conelius Van Til, 1885-1987.